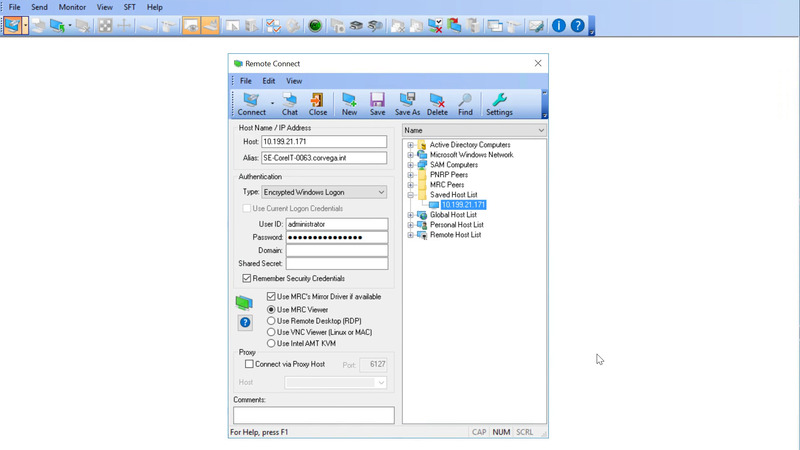 Easily establish remote connections to Windows workstations and servers for maintenance and troubleshooting. Meet industry-leading levels of security for encryption, hashing, and key exchange. Improve interactions between end users and technicians to speed time to resolution and enhance support. Support a broader range of servers and end-user workstations and do so with ease. Dameware Mini Remote Control (MRC) provides extensive security and encryption capabilities including multiple authentication methods primarily designed to use an operating system's built-in security. The remote control software also offers additional options of encrypting all communications between the remote and local machines, taking advantage of today's standards for encryption, hashing, and key exchange. Use Interactive Smart Card Login and Remote Smart Card Authentication with a Smart Card and PIN from your local machine. You don’t need to install additional Smart Card middleware or a Smart Card reader on the remote machine. 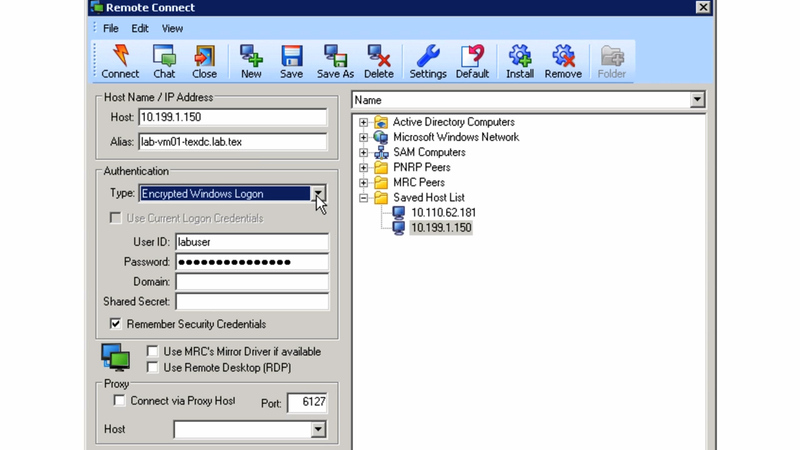 MRC is the only known third-party remote administration tool with this capability. Remote control software allows help desk technicians and technical support team members to remotely access and control desktops, laptops, and servers from another device over the Internet. "I am the primary IT support at a small rural critical access hospital which includes five satellite clinics within a 45-mile radius. Dameware enables me to troubleshoot and resolve issues that previously would require a 15-30 minute drive in some instances."